Mailchimp for Magento 2 is a free tool that syncs your Magento customers and their order information to a Mailchimp list. Use purchase data to enable automated campaigns with product recommendations, and turn on e-commerce tracking to measure campaign ROI. In this article, you'll learn how to connect and disconnect Mailchimp for Magento 2. This is an advanced feature recommended for users familiar with the Magento 2 Component Manager. Contact your Magento expert or developer for assistance if you need to. Mailchimp for Magento 2 does not support custom, bundled, grouped, or gift card product types. 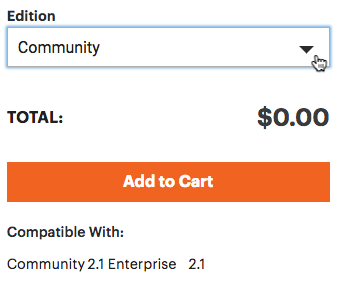 Mailchimp for Magento 2 is compatible with Magento 2 CE v2.1, v2.2 and EE v2.1, v2.2. To view the e-commerce features supported by this integration, visit the Magento 2 listing in your account. 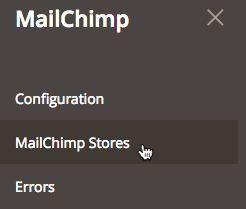 In Magento 2, add a Mailchimp API key and create a Mailchimp store. Connect your Mailchimp store to your Magento 2 account. To get started, you'll download Mailchimp for Magento 2 extension from Magento's Marketplace. To download the free ZIP file for Mailchimp for Magento 2, follow these steps. Navigate to the Mailchimp for Magento 2 page. Click the Edition drop-down menu, and choose your version of Magento 2. 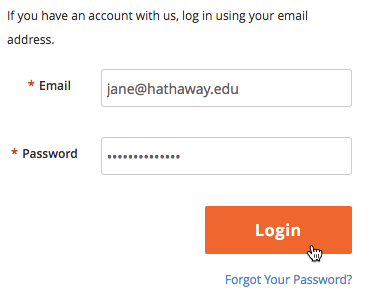 Input your Magento 2 account credentials, and click Login. Click Place Order. Don't worry, you won't actually be charged. Now that you've downloaded the extension, you'll use the Component Manager to install the extension to your Magento 2 account. To install Mailchimp for Magento 2, follow these steps. Log into your Magento 2 Admin Panel. Start the Component Manager and click Sync. After you run the Component Manager, finish installation of your new purchase and you're halfway done! Need help with installation? Check out Magento's tutorial. To wrap up, you'll complete a multi-step process to create a Mailchimp store inside Magento and configure its settings. Then, you'll connect that store to Magento and decide what information to share between the two apps. Before you create and connect a Mailchimp store to Magento, you'll need to create a Mailchimp API key and add it to your Magento 2 account. To add an API key to Magento, follow these steps. Navigate to your Magento 2 Admin Panel. Click Mailchimp and choose Configuration. In the Mailchimp General Configuration section, input your Mailchimp API key in the API key list (global) field. To create a Mailchimp store in Magento you'll input your store details and customize settings, like your contact information and the Mailchimp list you want to sync to Magento. To create a Mailchimp store, follow these steps. Navigate to the Magento 2 Admin Panel. Click Mailchimp and choose Mailchimp Stores. Click Create New Mailchimp Store. In the General section, click the drop-down menu to choose your API key and the Mailchimp list you want to sync. Input your other store details and click Save. Input your contact information in the Address section and click Save. Awesome job! Now that you've created your Mailchimp store, you're ready to connect it to Magento. You made it to the last step! To finish this part, you'll need to return to the Configuration page in Magento. To connect your Mailchimp store to Magento, follow these steps. 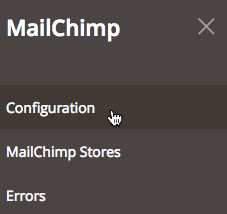 Click the Default Config drop-down menu and choose the Magento 2 store you want to connect to your new Mailchimp store. In the pop-up modal, read the message that confirms you're making changes to your Mailchimp store and click OK.
Click the API Key (store view) drop-down menu and choose the API key you added for your Mailchimp store. When you're done, click Save Config. You have several options if you want to further customize the information that's passed between Magento and Mailchimp. To set additional options, follow these steps. Uncheck the box next to Use Default to choose a store other than the default configuration. Click the Enable Two Way Sync drop-down menu and choose Yes to pass subscription status from your Mailchimp account to your Magento 2 account. In the Customer Fields Mapping section, input an existing Mailchimp merge tag value and click the corresponding drop-down menu to choose a Magento customer field. This will sync your Magento customer data with the right list field in Mailchimp. To map additional fields, click Add. Choose the Available Groups you want to show to customers after checkout, then enter a Group Description and Success message. In the Ecommerce Configuration section, set your preferences for the e-commerce data that's passed to Mailchimp. In the Abandoned Cart Configuration section, enable and set your preferences for an abandoned cart email in Mailchimp. That's it! Now that your store is connected, we'll start syncing your Magento customer and order data to Mailchimp. To verify your store is connected properly, navigate to the Connected Sites page in Mailchimp and make sure your Magento 2 store appears there. After you connect Mailchimp to Magento 2, you can do a lot with the the data you collect, like build segments, send automations, track purchases, make product recommendations, and view results. Click Edit next to the Mailchimp store that you want to disconnect. In the confirmation pop-up modal, click OK.